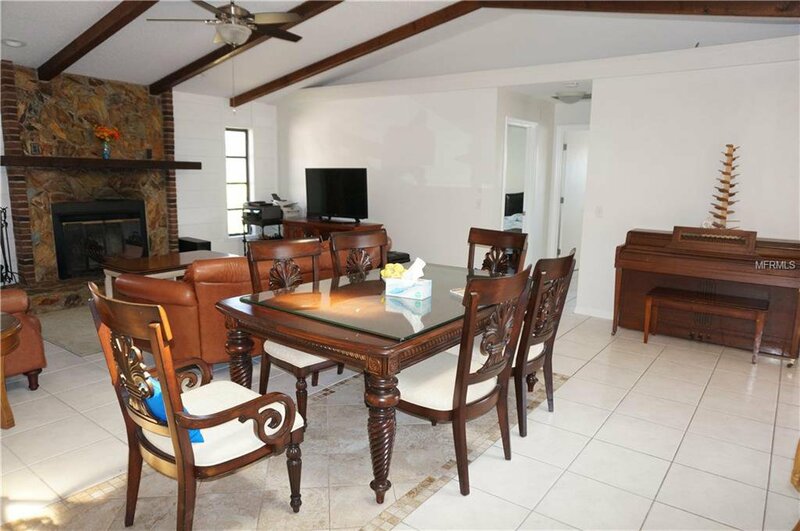 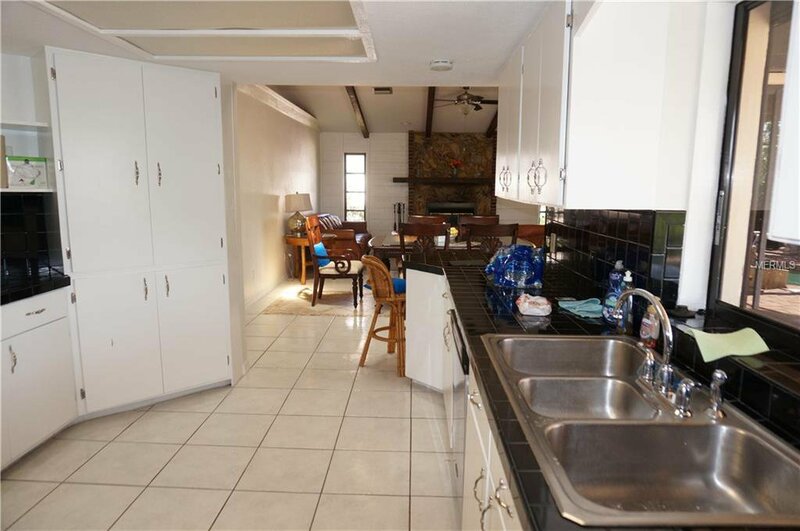 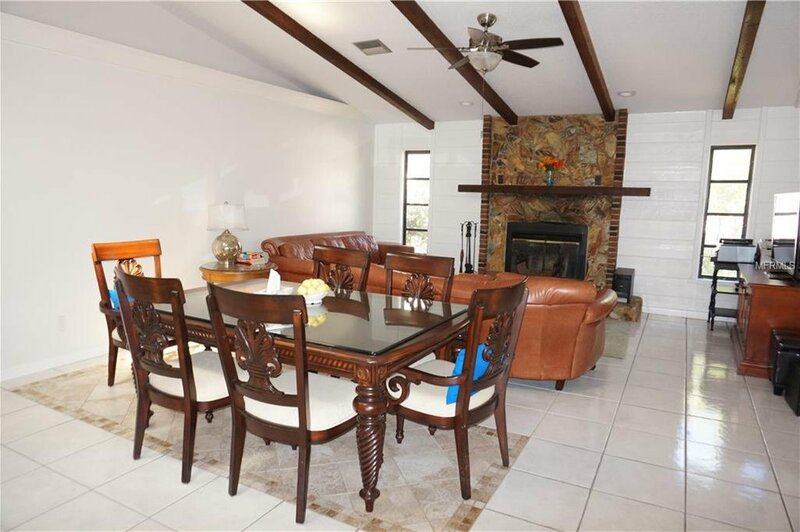 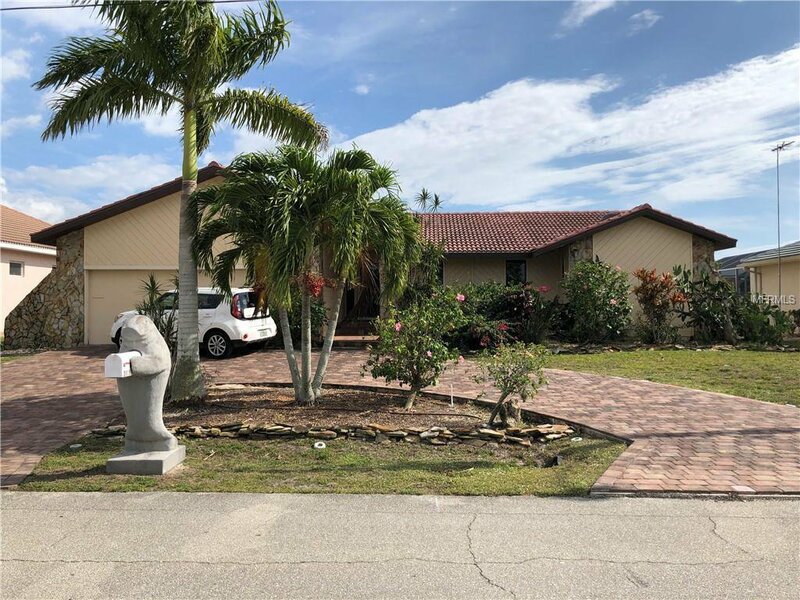 Spacious WATERFRONT 3 Bedroom, 2 Bathroom home with attached 2 Car Garage located in the desirable deed restricted community of Punta Gorda Isles. 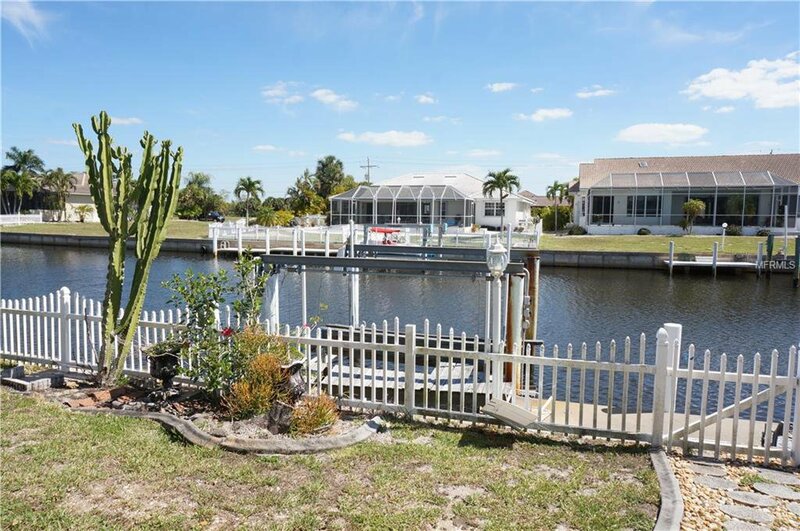 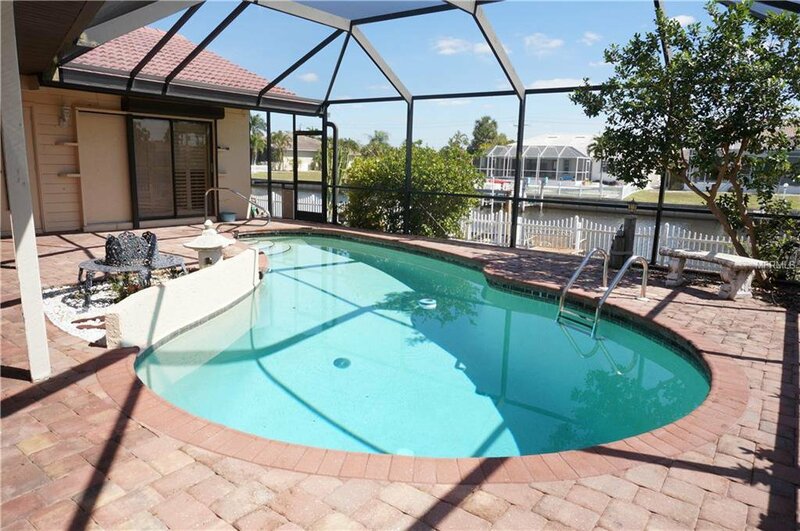 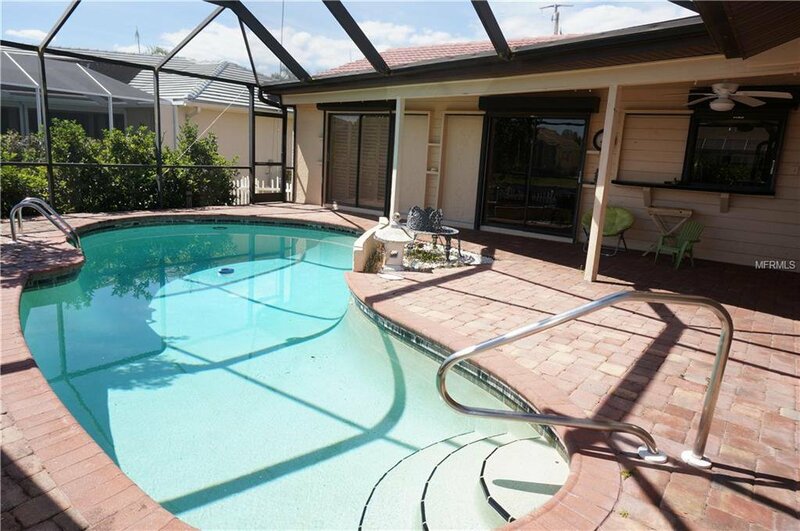 Access to Charlotte Harbor and on to the Gulf of Mexico from the concrete dock and boat lift. 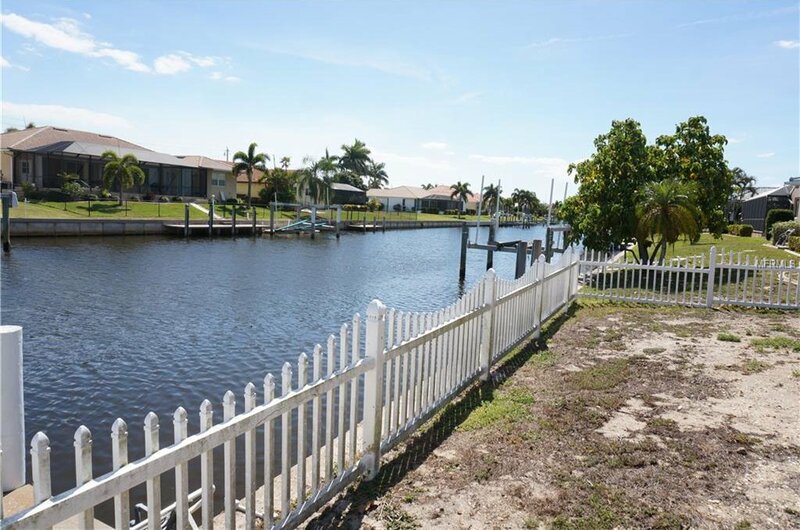 80 foot concrete seawall is maintained by the city of Punta Gorda. 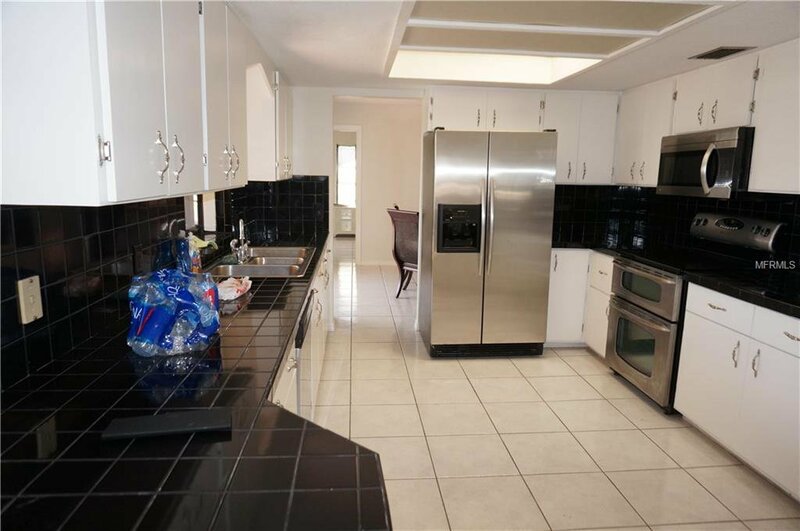 This home offers and open and split bedroom floor plan with Great Room, Dining Room, Family Room with wood burning fireplace, well appointed Kitchen with lots of storage and stainless appliances and large Inside Laundry. 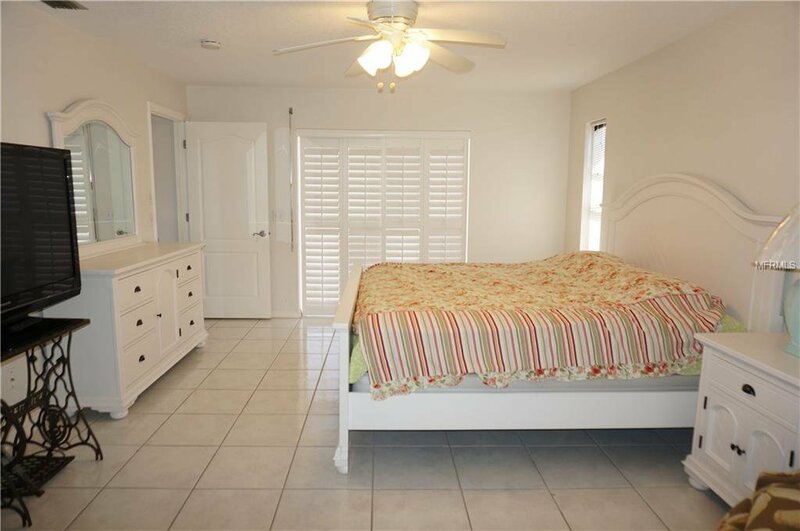 The Master Bedroom suite features two walk in closets, lanai access and a private bathroom with tub, shower and his and hers sinks. 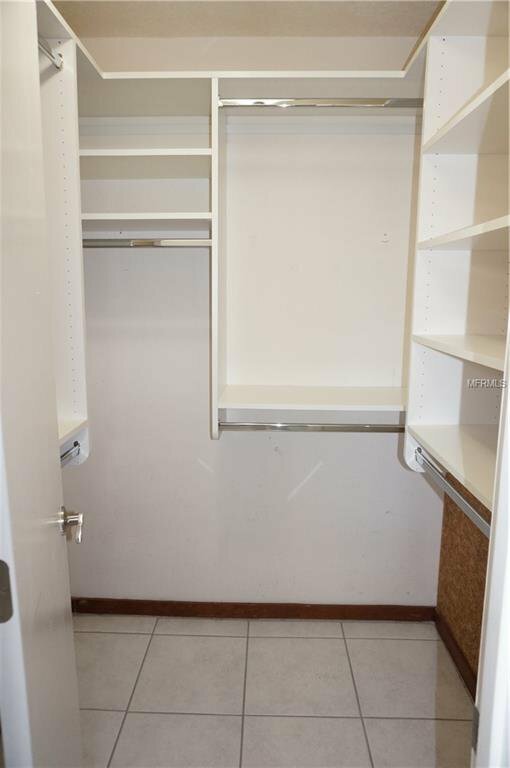 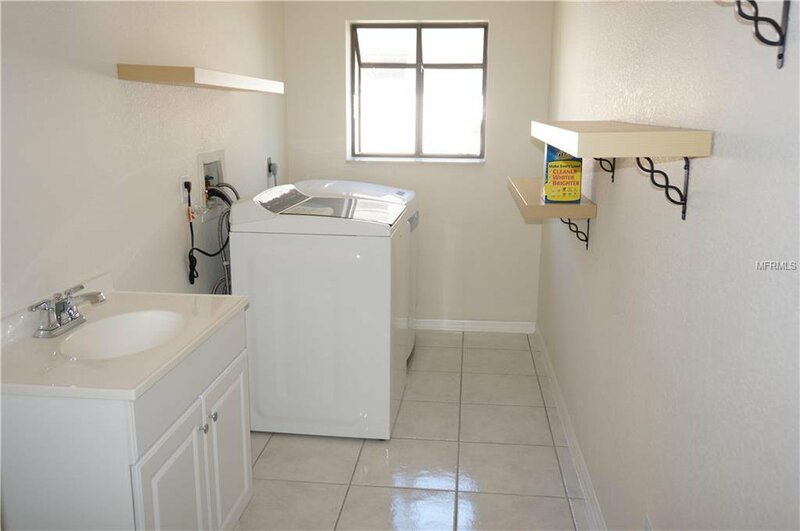 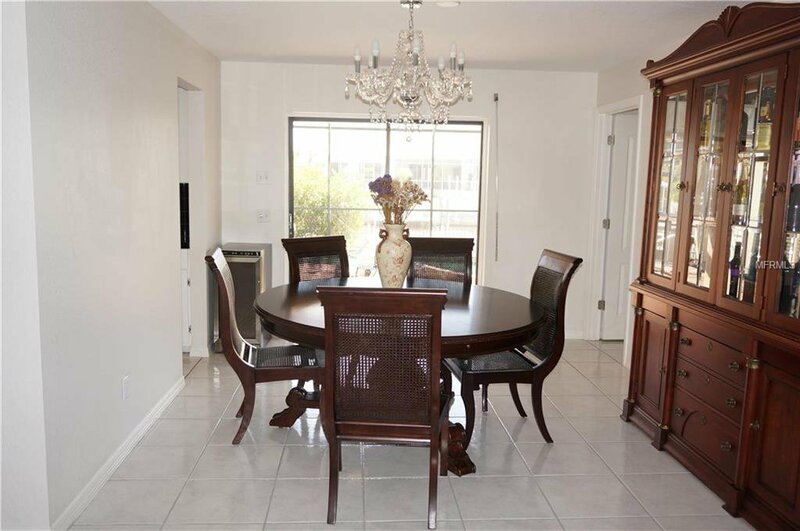 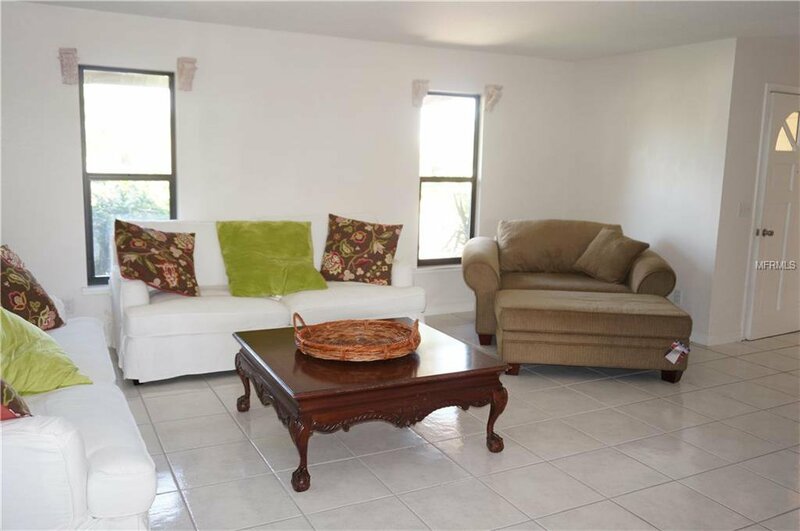 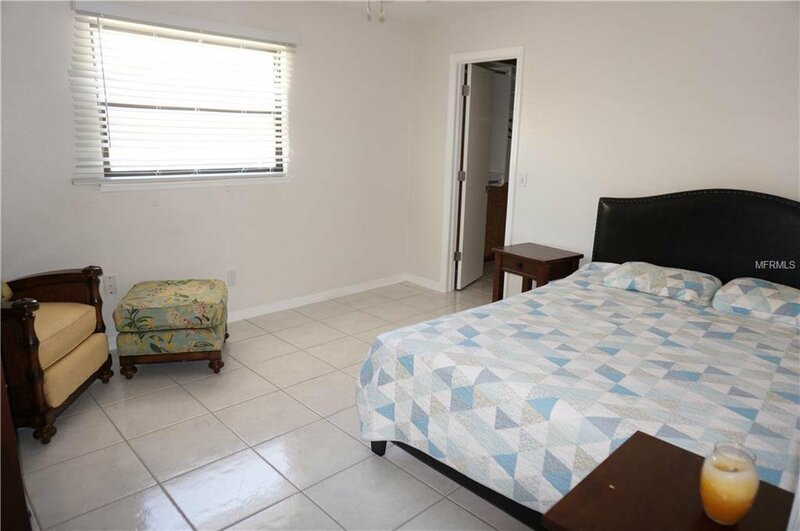 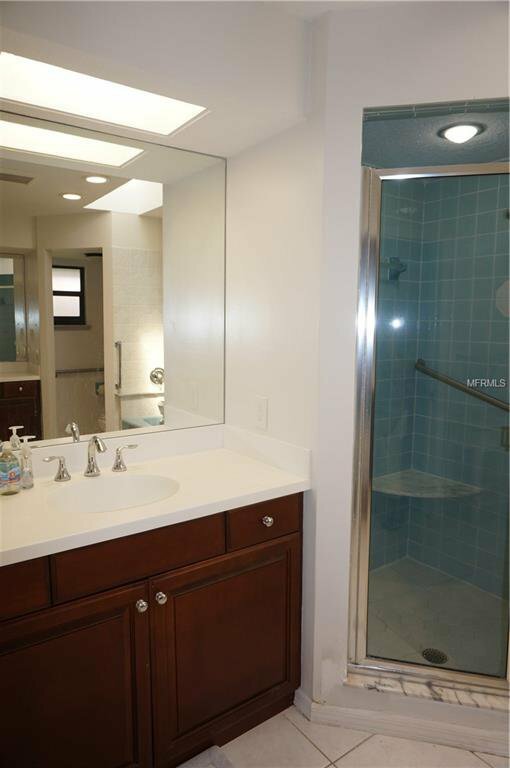 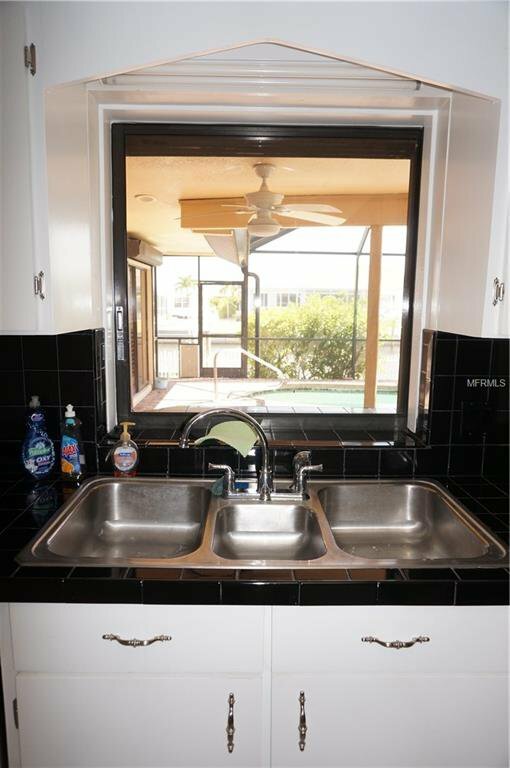 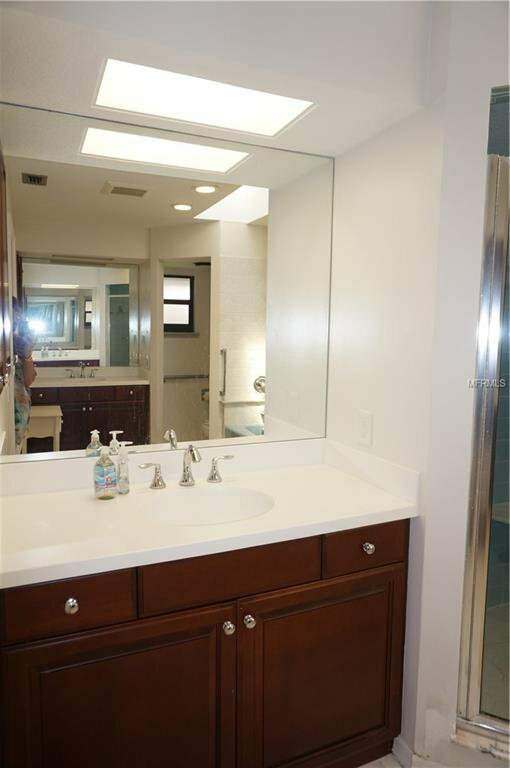 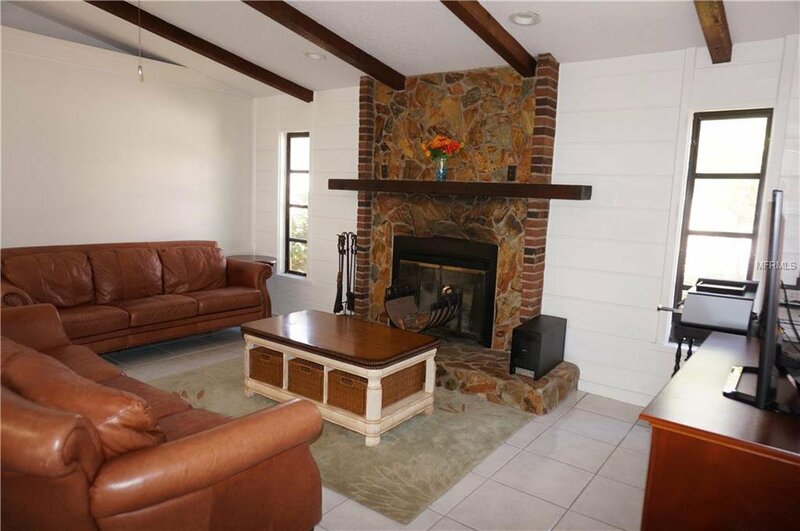 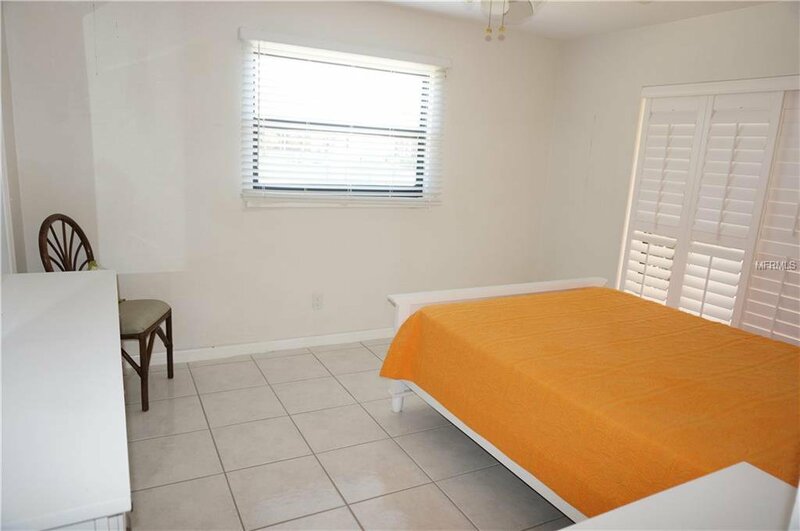 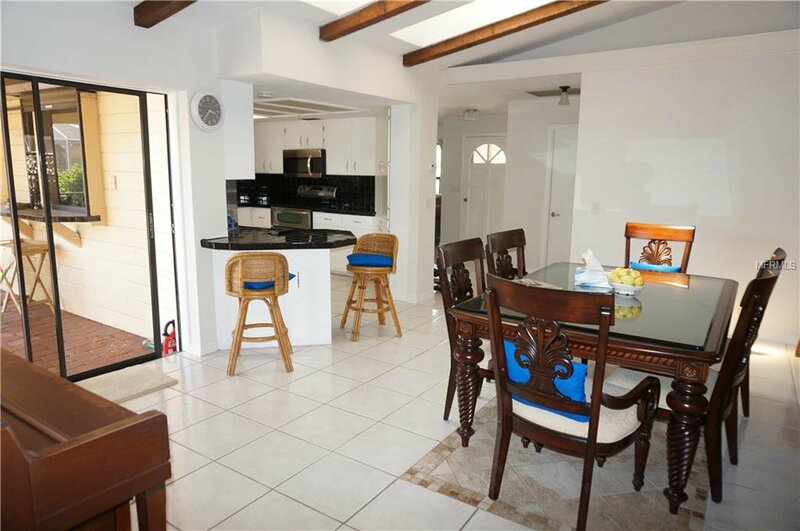 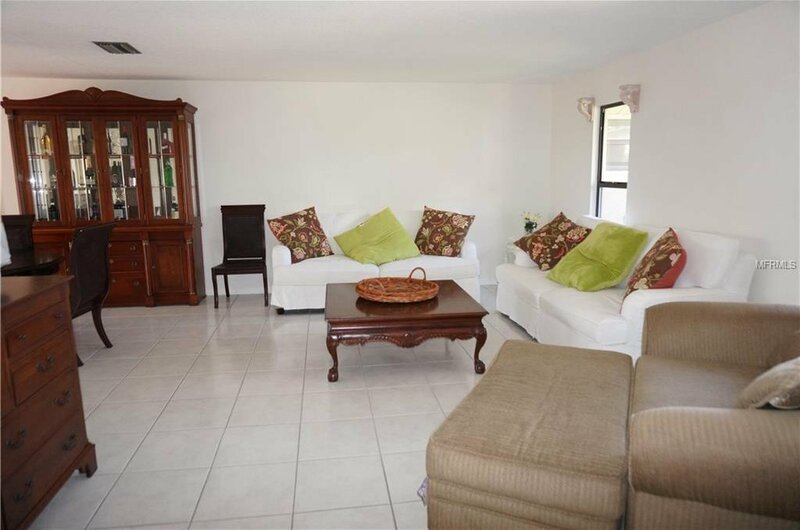 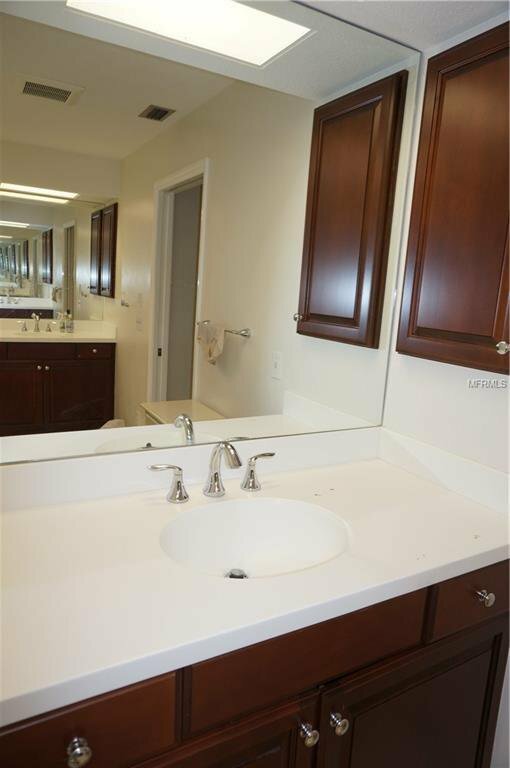 There are two additional bedrooms, each with walk in closets and one bedroom has lanai access. 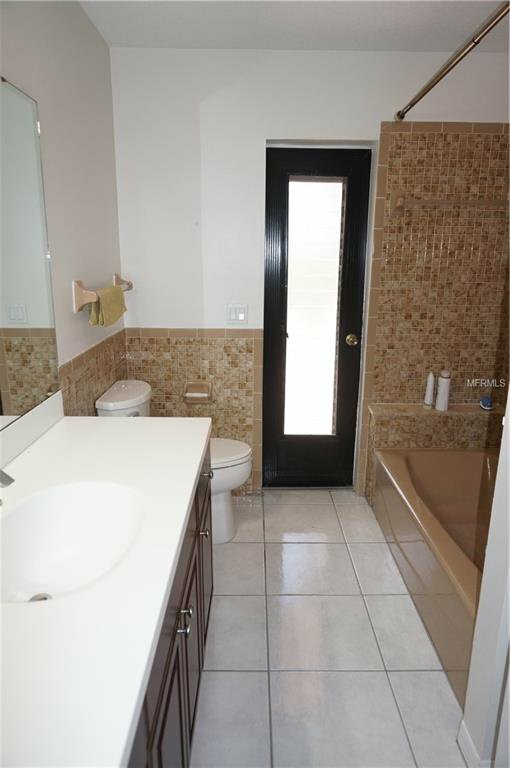 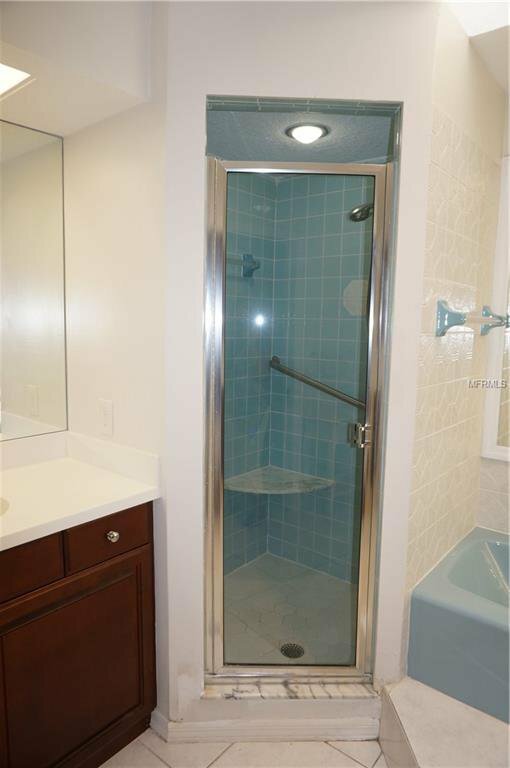 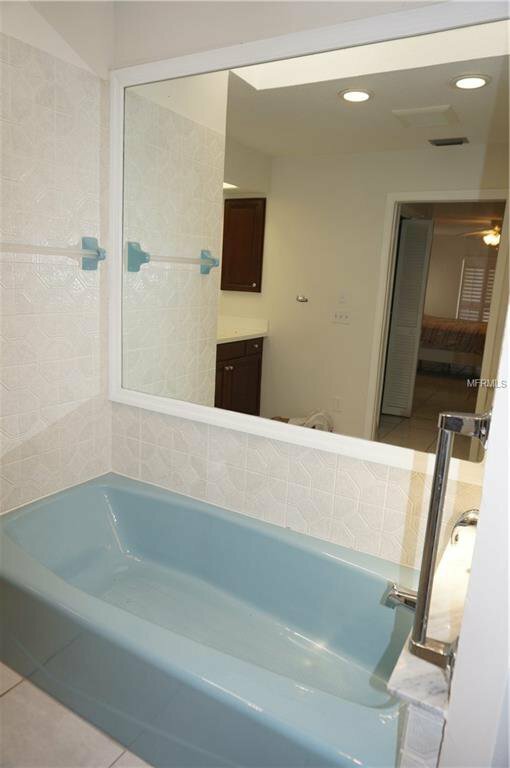 The guest bathroom is also a pool bath. 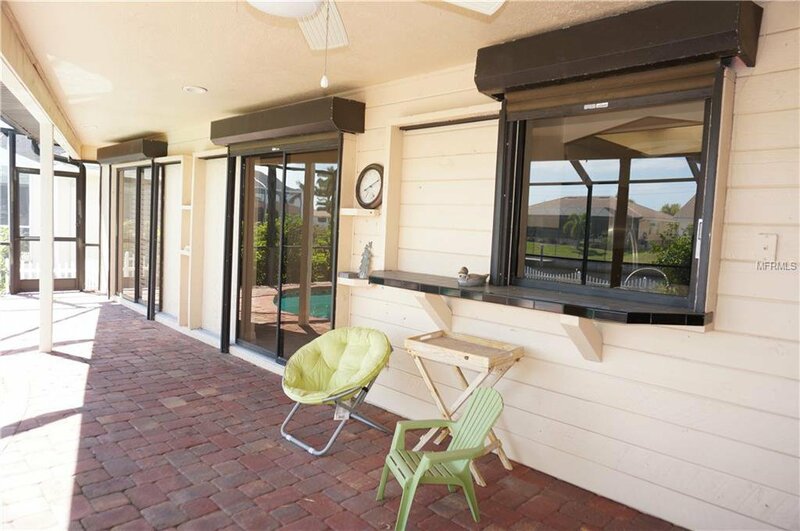 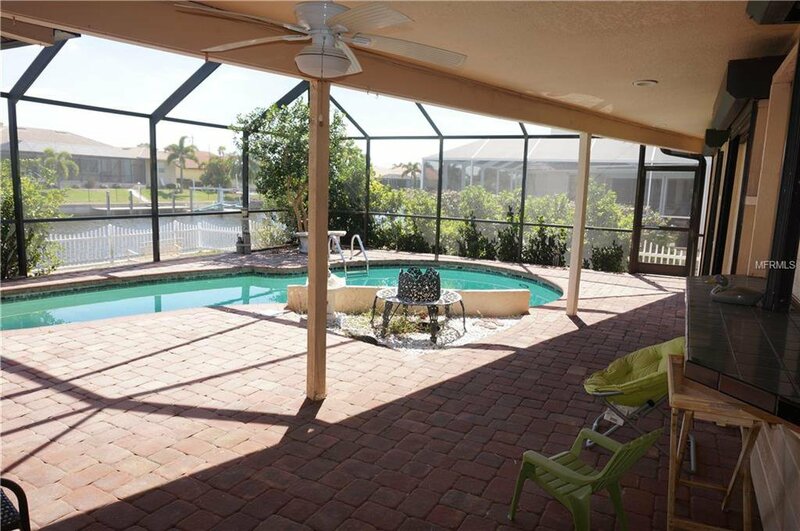 Your living space extends via pocket sliding glass doors to the screened lanai and pool area with paver deck, pass thru to Kitchen, covered lanai and deck for sunbathing. 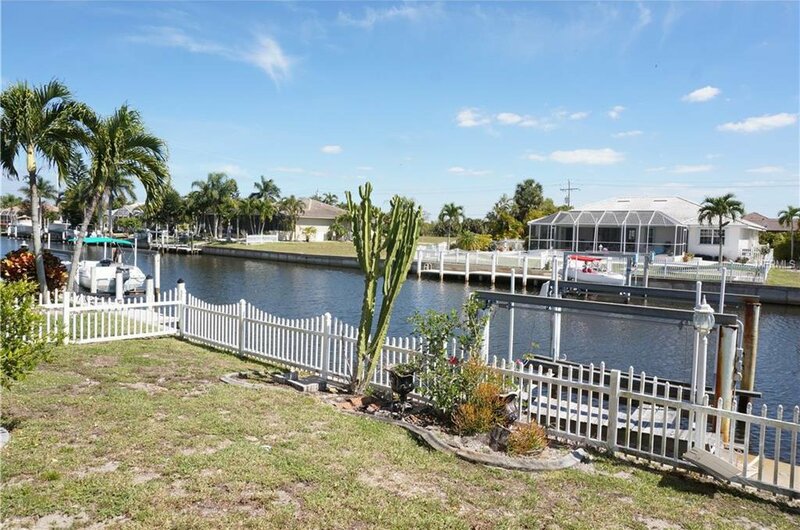 Fenced dock area. 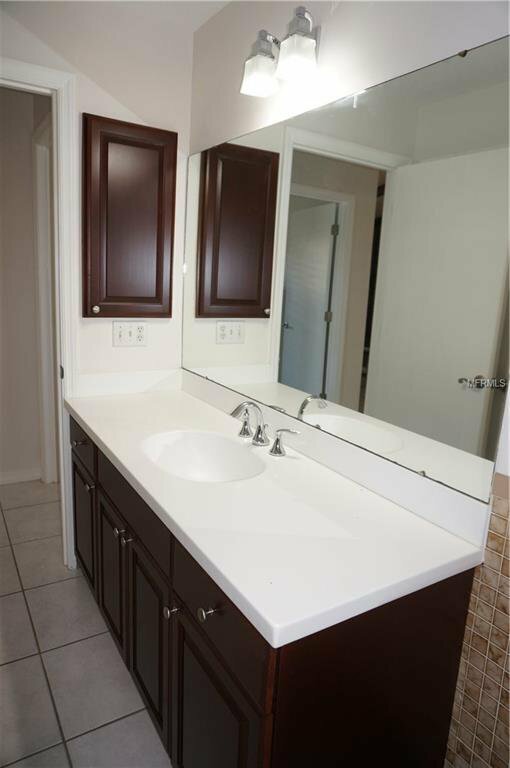 Other features include: paver circular driveway and walkway, front entry courtyard, skylights in kitchen and master bathroom, new garage door opener and electronic lift in garage to make it easier to put items in attic. 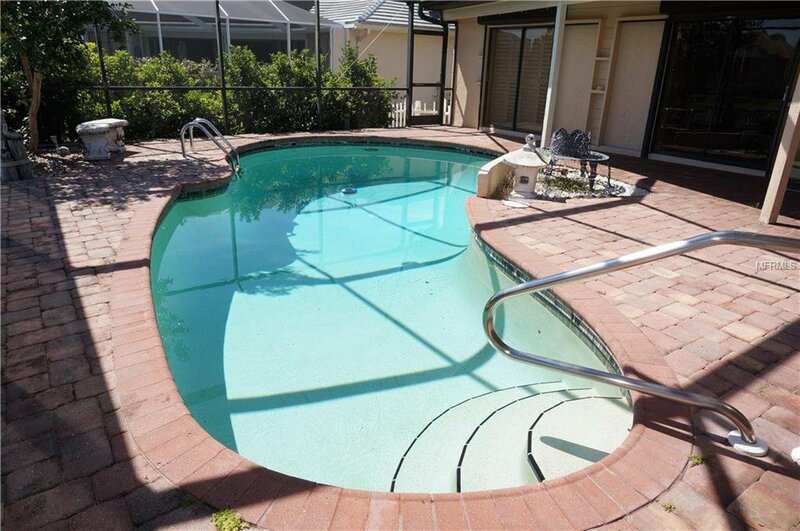 NEW A/C 2016, New Irrigation pipe work 2018, NEW pool cage screening 2017. 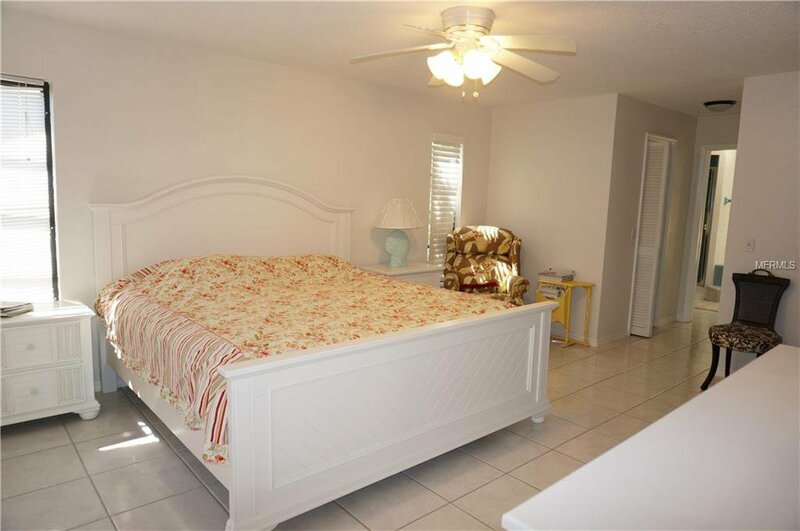 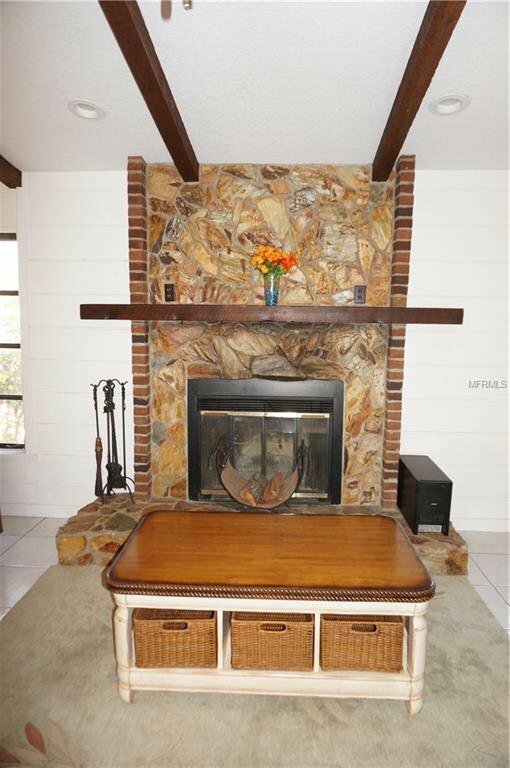 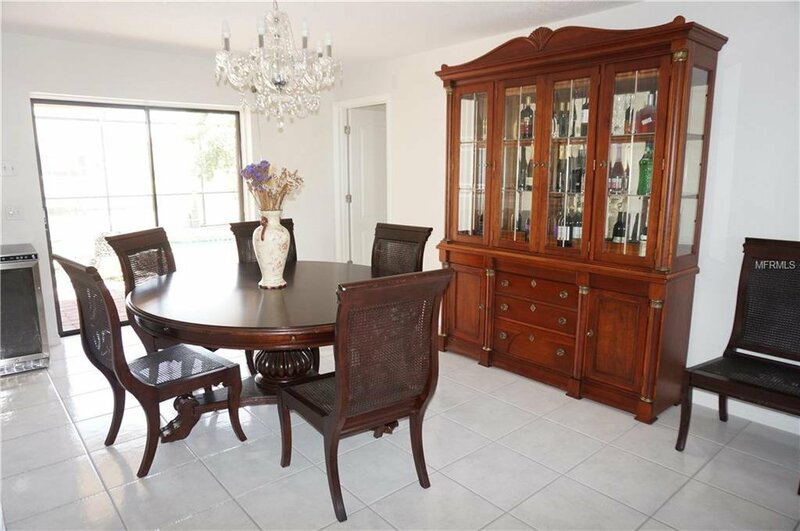 This home is located in a quiet neighborhood minutes from Ponce De Leon park, Fishermen's Village and historic downtown Punta Gorda shopping, dining, medical care, waterfront parks, art galleries, farmers market, events and more!